Over two years ago, we faced the development of Cloud Experience, a platform for TV Operators (IDP, for Identity Providers) and Content Providers (CP), which enables the customized creation and self-administration of sites and Apps OTT content. The solution emerged with the concept of facilitating the page configuration and its adaption according to the corporate image of each client. Our job at that time was to find a tool that simplified its development. For another project, the administrator of our platform was deploying Angular: an open-code framework serviced today by Google. However, at least in the versions available at that time, Angular did not allow modular work, which made it almost impossible the reutilize of the components created. 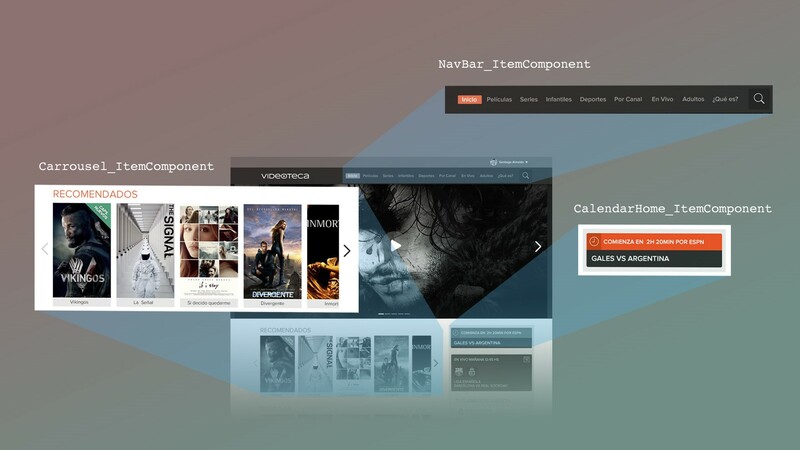 In Cloud Experience, this may be seen in different functionalities: for example, the unfolding of a movie or series poster image, used both in the carousel as well as in the publication sheet of the movie, and even in the Player. Modular development in Reactjs enables us to reutilize the same components, facilitating the programming and maintenance of components as well (as a single component, the changes and updates are performed once, and reflected in all apps and places where it is deployed). Finally, it gave the client more freedom to place the components of their page wherever they wanted to, without complications upon preparing the configuration of the platform. Although the learning curve for the use of this library is more demanding than for other similar tools, there are numerous use cases such as this one, where the advantages of the journey and final result greatly support its implementation.